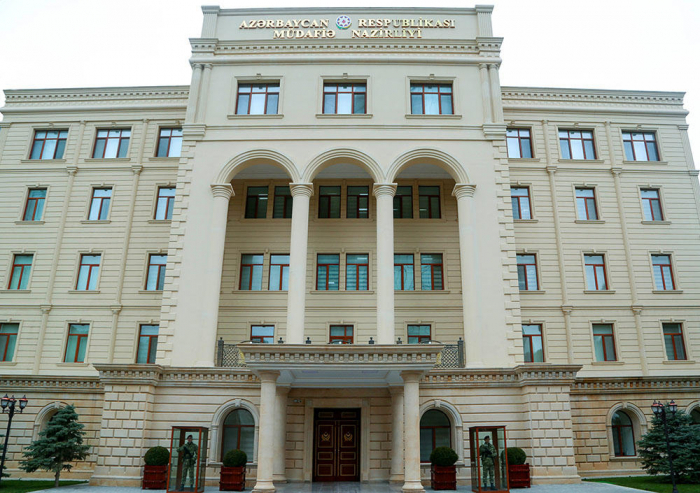 On March 26, during the day, units of the Armenian armed forces have resorted to provocations in various directions of the front, the Azerbaijani Defense Ministry said March 26, AzVision.az reports. “A serviceman of the Azerbaijan Army Ellezov Ellez Aleddin was killed as a result of the shelling by the enemy of the positions of our units on the Fizuli direction of the front this evening,” said the ministry. The leadership of the Ministry of Defense expresses its deep condolences to the family and relatives of the shehid (martyr)! "At the same time, the Armenian media has spread information about the alleged attempt of the Azerbaijani side to propel forward its positions by carrying out engineering work on the Armenian-Azerbaijani state border. We officially declare that the spread information is untrue and another provocation of the Armenian side, as well as it aims to aggravate the situation at the front. As a result of decisive and adequate actions undertaken by the units of the Azerbaijan Army, the enemy’s firing positions were suppressed and its further provocations were stopped. Currently, the units of the Azerbaijan Army fully control the situation on the front line,” reads the statement of the Defense Ministry.